Millions upon millions of bright blooming poppies populate California’s Antelope Valley, making it appear right out of an impressionist painting–or, if you would, an HD desktop wallpaper. Located in west of the Mojave Desert in northern Los Angeles, Antelope Valley is dry and barren throughout the year. But from mid-February to late May, the meadows spring into life, coloring the fields in a medley of orange, yellow, pink, and green. 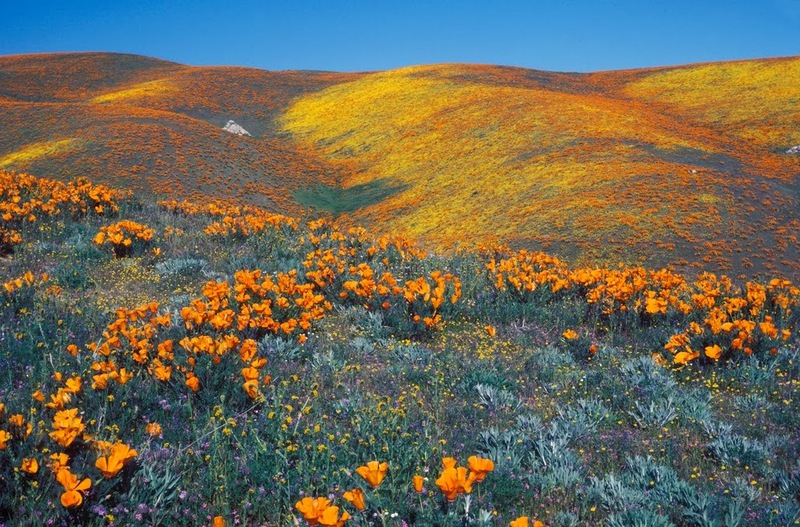 It has the most consistent blooms of California poppies in the USA, thanks to state protection, which excluded even grazers like sheep and antelopes from roaming the buttes. Apart from poppies, other wildflowers like owl’s clover, lupine, goldfield, cream cups, and coreopsis add color to the countryside. In order to maintain the park’s natural state, the flower fields are not watered nor stimulated by the park service.Hikers are welcome to explore the reserve. There are 11 km of trails, traversing through the poppy fields. Benches are scattered all over the trails for more laid-back visitors. Picking flowers is, without question, strictly prohibited.